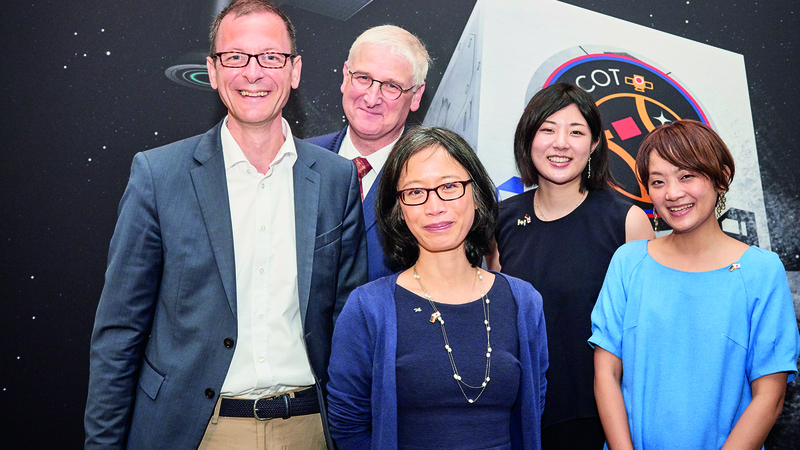 Exhibition vernissage of vernissage with the senator Günthner and representives of JAXA and DLR. 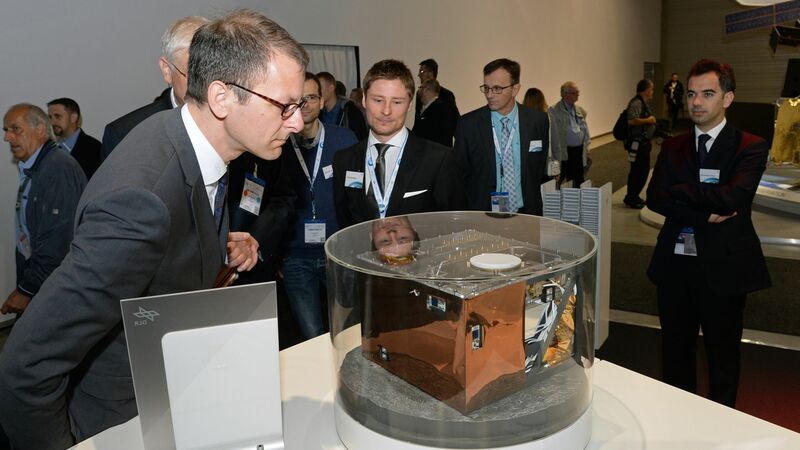 Visitors to the ILA 2016 in Berlin are presented with a model of the MASCOT lander and provided information about the mission. MASCOT is since December 2014 on its way to the near-Earth asteroid (162173) Ryugu (1999 JU3) and in October 2018 will land on the one kilometer diameter asteroid. Later it will hop around and for the first time in space history take measurements at several locations on an asteroid. 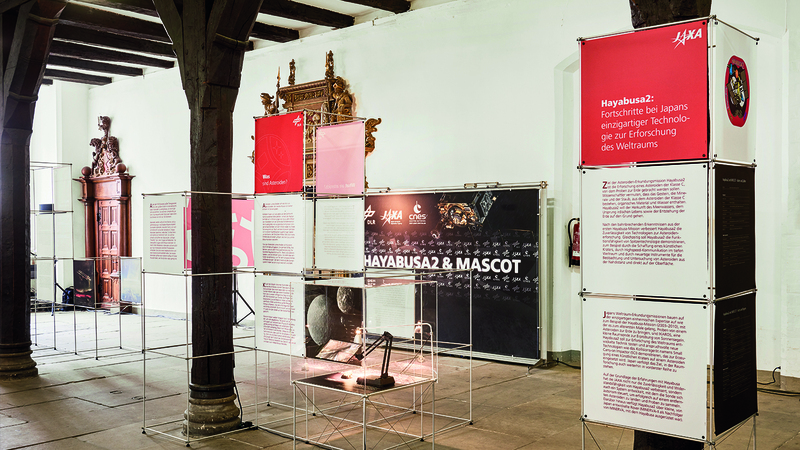 Presentation about the asteroid lander MASCOT as part of the lecture series at the ILA 2016 in Berlin. 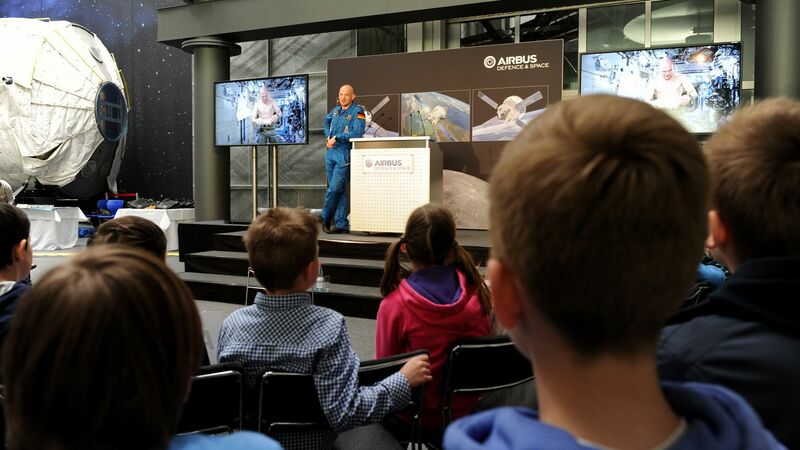 During a visit to Bremen, the German ESA-astronaut Alexander Gerst speaks about his life aboard the ISS. 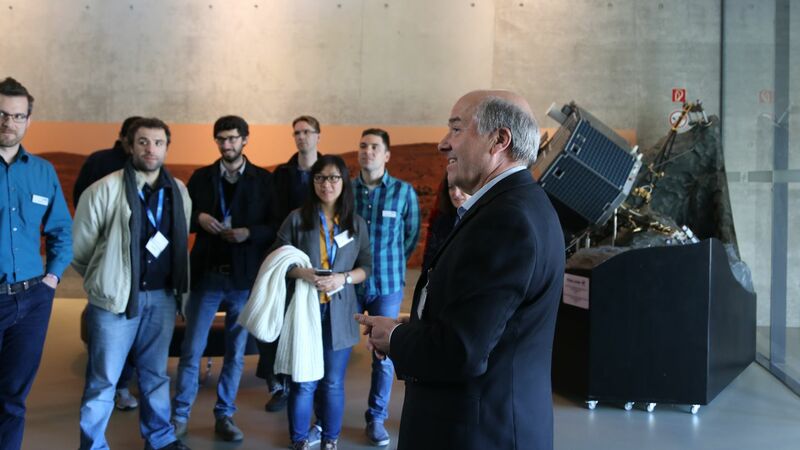 On a tour through the laboratory building of the DLR Institute of Space Systems, visitors are provided with an overview of the activities of the institute and an update on current missions. 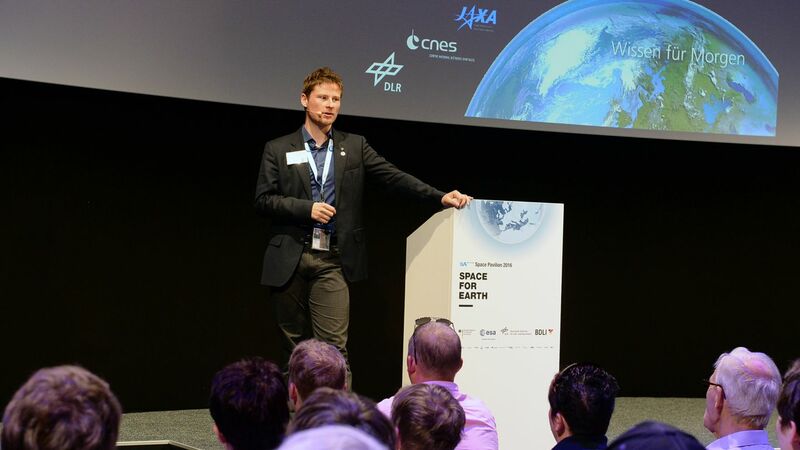 The DLR Institute of Space Systems presented in collaboration with the DLR_School_Lab Bremen at the celebration "10 year city of science" during the 2015 Maritime Week. As part of the minister conference in Bremen, Bremen is presented as the city of space. 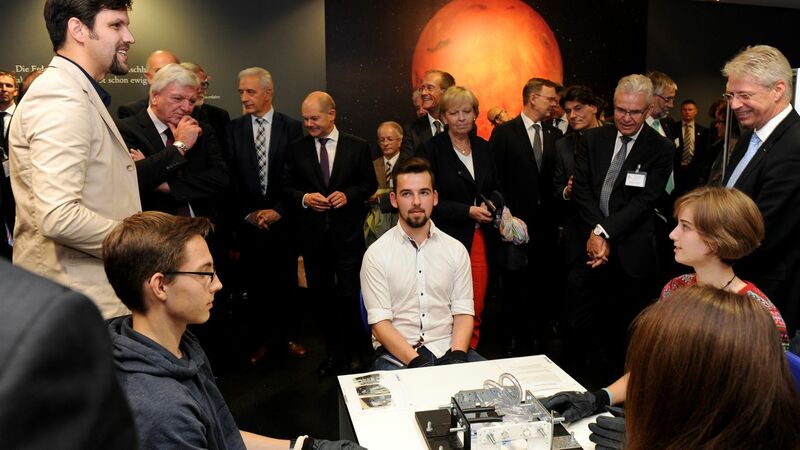 Following the ceremony, students of the DLR_School_Lab Bremen presented their experiments on "human spaceflight" and "vacuum". 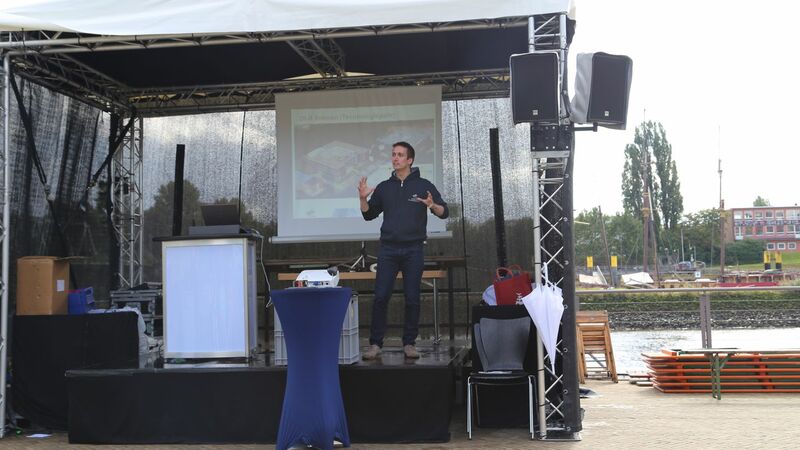 10 year city of science" festival : Presentation on the exploration of the Moon, Mars and other solar system bodies. 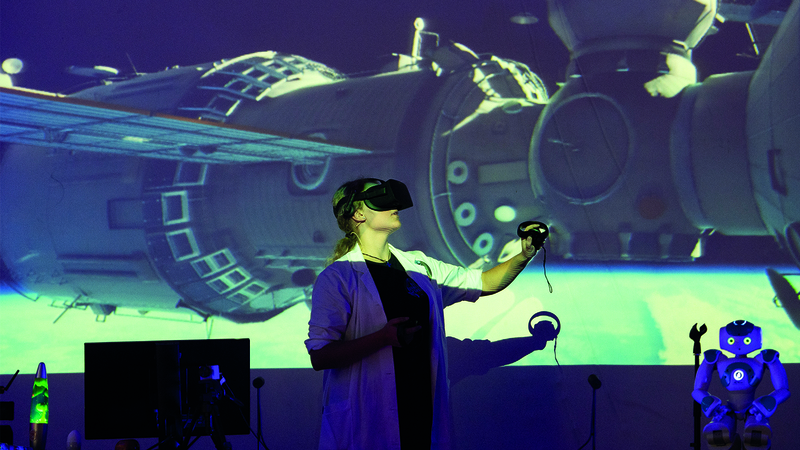 Here at the Institute of Space Systems, we run numerous events, which provide attendees with information about the Institute and the work we carry out. We also regularly hold our own Institute seminars. Guest speakers from various fields of aerospace and scientific research are invited to join. The dates for all of our events and Institute seminars are available on our website. We look forward to welcoming you to the Institute of Space Systems. 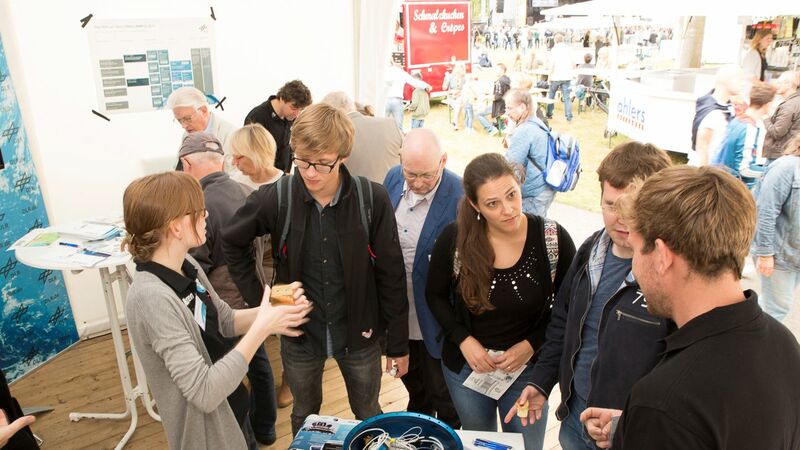 At the following events you can get know more about the Institute of Space System and the DLR. We are looking forward of your visit. 11.01.2018 - 14.10.2018 Photo exhibition: Space Girls Space Women Universum Bremen Wiener Straße 1a 28359 Bremen The entrance fee is included in the normal fee. 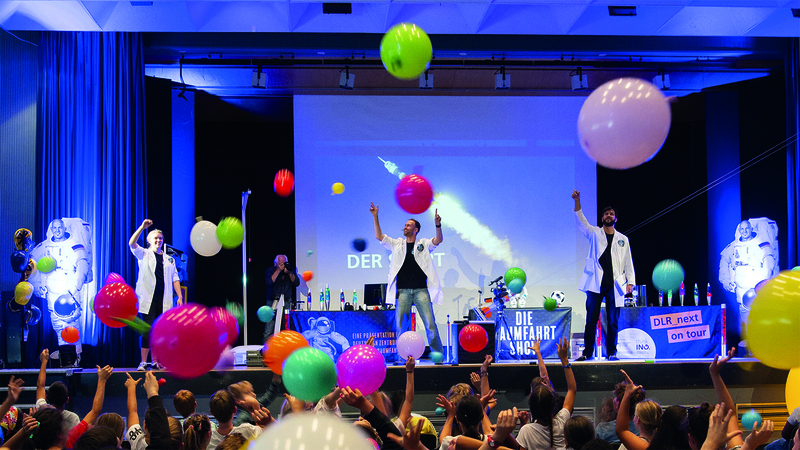 10.07.2018 - 14.10.2018 DLR Exhibition: "Contact with an asteroid"
Our Institute seminars usually take place on a monthly basis. They are held in the large lecture theatre on the second floor of our building. We welcome all those interested in attending. Would you like to be kept up to date and get notifications on postponements? Then please write us an email to: ry-seminar@dlr.de. We will gladly add you to our distribution list.